Hello people of the internet!!! On today’s ‘YouTube Wednesday’ we’re going to discuss an AMAZING singer that you’re going to be absolutely OBSESSED with!!! If you haven’t heard of Beckah Shae then prepare to be introduced to your favorite new singer. 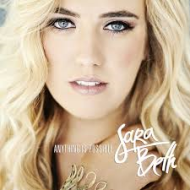 With years of experience in the Contemporary Christian genre, Beckah’ reputation has gained her award nominations (including a very prestigious Dove Award nomination, which is the highest award a Christian artist can earn), as well as a guest track on multiaward winning artist TobyMac’s 2010 album ‘Tonight’. Recently Beckah has been making waves on her YouTube channel by posting Christian versions of popular Pop songs. Not only is this an innovative and genius spin on the concept of covers, but has also allowed Beckah to show off her extremely impressive vocal range to a larger audience. So I know what you’re thinking now. You want to get to the music right? Ok then let’s jump into it. Ready? Ok, let’s go!!! The first song that we’re going to talk about is Beckah’s cover of Ed Sheeran’s song ‘Shape of You’, which was uploaded on April 20th, 2017 (you can check out the video below). This was the 1st cover of Beckah’s that I ever saw and honestly it hooked me right from the beginning. I love how she took a song about someone finding the love they crave in a person and instead turning into a song about finding love in Jesus. Although Ed’s version is great, I really like how Beckah took a club song and made it an AMAZING worship song. The next song we’re going to talk about is Beckah’s cover of ‘Sorry Not Sorry by Demi Lovato. This is the cover that will really show you just how much control and power Beckah’s voice has. This is definitely not an easy song to cover due to the incredibly high notes and long vocal runs the song has. This song definitely provides a round of vocal gymnastics for most vocalists however Beckah handles this challenge with ease. This is a cover that you will definitely want to blast from your car speakers this year! Now we’re going to discuss Beckah’s cover of ‘Havana’ by Camilia Cabello. 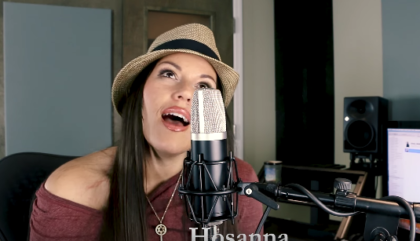 I thought that this was a really creative cover because of Beckah’s change of the word Havana for Hosanna which makes her transition of this track into a worship song appear flawless. It never does cease to amaze me just how creative Beckah is. The final song that we’re going to discuss is Beckah’s cover of ‘Perfect’ by Ed Sheeran, which features musician Damien Horne. This is an absolutely cover that is truly able to show how both artists are able to perfectly express the emotions and tenderness in this song and truly make a remarkable worship song out of it. Honestly I could sit here all day and explain why you should listen to Beckah’s music however her talent is something you must experience to fully understand, and recommend you do this immediately! celindareyesblog June 20, 2018 No Comments on YouTube Wednesday: Beckah Shae, the artist that’s breathing new life into pop music. Category: YouTube Wednesday. Tagged: 300 Entertainment, Adam Feeney, Ali Tamposi, Andrew Watt, Aslyum Records, atlantic records, Beckah Shea, Benny Blanco, Brian Lee, Brittany Hazzard, Camila Cabello, christian, contemporary, cover, Damien Horne, demi lovato, ed sheeran, Epic Records, Frank Dukes, Hollywood Records, instagram, Island Records, itunes, Jeffery Williams, Johnny McDaid, Kaan Gunesberk, Kandi Burruss, Kevin Briggs, Louis Bell, music, new, Pateron, pharrell williams, pop, Safehouse Records, Sean Douglas, Sony Music, Spotify, Steve Mac, Syco Music, Tameka Cottle, Trevor Brown, twitter, universal music group, warner music group, Warren "Oak" Felder, Will Hicks, William Zaire Simmons, Young Thug, youtube, YSL. Hello people of the internet!!! Since this is the last ‘Monday Memos’ blog of 2014, I thought that it would be cool to talk about who will be the next big breakout music artist of 2015. Last year I predicted that 2014 would be a HUGE year for Ariana Grande, and well y’all saw what happened (if you want to check out that blog post then here’s the link Artist Spotlight: Ariana Grande). This year I think that Shawn Mendes will rule the charts. If you’re not already obsessed with him, then read on to learn exactly why this singer/songwriter only needs 6 seconds to win you over. Shawn Mendes is a 16 year old Canadian musician. He first gained popularity by posting 6 second covers on Vine in 2013. He quickly received millions of views and followers in just a few months. In January of 2014, manager Andrew Gertler discovered Shawn and brought him to the attention of Island Records, where he eventually signed a record deal with. In early 2014 (before he was signed) he toured as a member of the ‘MagCon Tour’, which also featured numerous other social media stars. In June of 2014, he released his first single ‘Life of the Party’. The single ended up making Shawn the youngest artist to debut in the Top 25 with a debut song on the ‘Billboard Hot 100’. He also opened Austin Mahone’s nationwide tour, (called ‘Live on Tour’) as an opening act and released his debut major label EP ‘The Shawn Mendes EP’ in July of that year. 2014 continued to be a big year for Shawn due to his win as ‘Choice Webstar: Music’ at the 2014 Teen Choice Awards. As you can see, 2014 was an insanely awesome year for this rising artist. With an upcoming opening slot on Taylor Swift’s ‘1985’ tour, and the release of his debut full length album (sometime next year), 2015 is only going to be more insane for Shawn. So if you want to become a fangirl/fanboy now, please read on. Next up we’re going to get to the part that y’all have been waiting for, yup, we’re gonna talk about the music! So let’s kick things off with Shawn’s debut single ‘Life if the Party’. This sweet ballad is about Shawn telling a girl not to be afraid to be herself. It’s a cute story about how we should all be comfortable in our skin because life is too short to be afraid. I thought that this was a really cool debut song for him because it’s catchy, and has a good message. Definitely a song you’ll want to add to your winter playlists. Next up we’re gonna talk about Shawn’s newest song ‘Something Big’, which was released in November of 2014. This song is a fun, upbeat song that is about the feeling you get right before something big in your life is about to happen. In this song we got to see a little of Shawn’s rapping skills (as if he wasn’t amazing enough), and you also get to see his different layers as an artist. Although I love his ballads, it’s cool to hear him have fun with a track, and it makes you wonder how exciting this song must sound live. The last song that we’re going to talk about is called ‘The Weight’. This track is a breakup song that tells the story of someone pretending that they’re ok without the person they love, but not actually being ok with the breakup. This is a really good song to cry to, and I found that the lyrics were really unique and insightful. This song also shows that Shawn has the emotional range that an artist needs to sing this kind of song (which shows how rounded of an artist he already is). These songs all leave you excited to see what he comes out with next, and just how much he will grow as an artist in the future. All photos and information used in this blog belong to Vine, YouTube, Twitter, Instagram, Facebook, Shawn Mendes, Island Records, Ariana Grande, all those associated with the MagCon Tour, Andrew Gertler, Teen Choice Awards, Ido Zmishlany, Scott Harris, “IdoVsTheWorld, Joshua Grant, iTunes, and all other original owners. I do not own anything in this blog. If any people, corporations, businesses, companies, etc, were not previously given credit for their work, they are given credit now and their previous absence was unintentional. All opinions expressed in this blog are my own. I wrote this blog for entertainment purposes and no copyright infringement is intended. 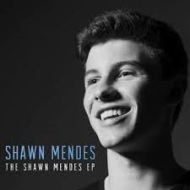 celindareyesblog December 30, 2014 No Comments on Monday Memos: Shawn Mendes….the soon to be biggest breakout artist of 2015. Category: Monday Memos. Tagged: “IdoVsTheWorld, Andrew Gertler, apple, ariana grande, ballad, blog, facebook, Ido Zmishlany, indie, instagram, Island Records, itunes, Joshua Grant, life of the party, MagCon Tour, music, pop, post, Scott Harris, Shawn Mendes, something big, soul, Teen Choice Awards, the weight, twitter, upbeat, Vine, youtube. Hello people of the internet!!! On today’s ‘Monday Memos’ we are going to discuss a rising group that you are already very familiar (and if you’re not read on, because trust me, you want to be)! If you saw the 3rd season of ‘The X Factor U.S.A.’, then you were one of the first to see the creation of music’s next big thing Sweet Suspense. This group has gone on to build off of the momentum they received while competing on The X-Factor, and are showing everyone that they are truly ready to be superstars. So please check out the rest of this blog post, to see why Sweet Suspense will be your new favorite group. Sweet Suspense is an all-female pop power trio, who were first put together by Simon Cowell on the 3rd season of ‘The X-Factor U.S.A.’ in 2013. The group consists of singers Summer Reign, Celine Polenghi, and Millie Thrasher. Originally all three girls auditioned as solo artists, but were later placed in a group and given Simon Cowell as their mentor. The group showed their vocal diversity by performing songs from numerous artists and genres including Beyoncé (‘Wishing On a Star’), Icona Pop (‘I Love It’), The Supremes (‘You Keep Me Hangin’ On’), and many other hits. The group ended up finishing in 12th place, but were able to use their popularity and momentum from the show to begin the launch of their empire. On August 9th, 2014, the group announced on Twitter that they were the first act signed to R&B/Pop superstar Jason Derulo’s new record label ‘Future History’. 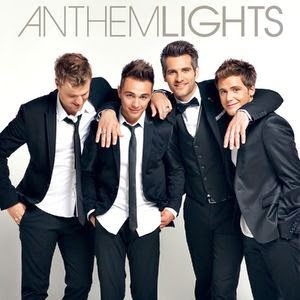 Now that y’all know a little about this AWESOME group, let’s get to the music! In 2014, the group decided that they were ready to once again unleash their awesomeness upon the world by releasing a cover of Wilson Phillips’ hit song ‘Hold On’, on May 1st, 2014 (the link to the song is here: https://www.youtube.com/watch?v=4l52rFw6IRk ) on sweetyhigh.com. I really enjoyed this cover because it was a fun choice that not only allowed the girls to show off their vocal abilities, but also their ability to captivate and fully entertain an audience, as well as bring a fresh feel to a Grammy nominated song. I feel that the fact that they are able to capture and keep your attention through a screen, definitely shows that they will be more than capable to do the same with a live crowd. On December 2nd, 2014 they released their debut Christmas single ‘Just Another Night’ on iTunes (here’s the link to the music video which was released on https://www.youtube.com/channel/UCGRxBrHj7o-gATJTxhLZijQ ). This song is the perfect choice for anyone who loves fun holiday music, and will be the perfect soundtrack for all of your Christmas parties. I also loved the music video for this song because it shows the group performing during a ‘Radio Disney’ event, as well as performing around the city they are in. This fun video really showed off the energetic and goofy personalities of the members of the group, which makes them seem not only talented but completely relatable. With such a strong debut, I am really excited to see what Sweet Suspense releases next. All photos and information used in this blog belong to Sweet Suspense, YouTube, Twitter, Instagram, Facebook, The X-Factor U.S.A., Simon Cowell, Summer Reign, Celine Polenghi, and Millie Thrasher, Beyoncé, Icona Pop, The Supremes, Jason Derulo. Future History, Wilson Phillips, sweetyhigh.com, The Grammy Awards, Radio Disney, iTunes, Chynna Phillips, Glen Ballard, Carnie Wilson, and all other original owners. I do not own anything in this blog. If any people, corporations, businesses, companies, etc, were not previously given credit for their work, they are given credit now and their previous absence was unintentional. All opinions expressed in this blog are my own. I wrote this blog for entertainment purposes and no copyright infringement is intended. celindareyesblog December 8, 2014 No Comments on Monday Memos: Sweet Suspense…the rising group whose music is your best early Christmas gift. Category: Monday Memos. Tagged: and Millie Thrasher, beyonce, Carnie Wilson, Celine Polenghi, Chynna Phillips, facebook, Glen Ballard, Icona Pop, instagram, itunes, Jason Derulo. 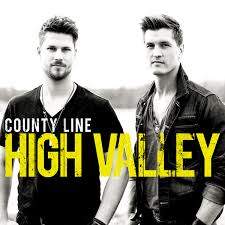 Future History, music, pop, r&b, radio disney, simon cowell, Summer Reign, Sweet Suspense, sweetyhigh.com, The Grammy Awards, The Supremes, The X-Factor U.S.A., twitter, Wilson Phillips, youtube. Hello people of the internet!!! On today’s ‘YouTube Wednesday’ we are going to discuss an AMAZING new YouTube musician that you all need to check out. This amazingly talented guy has been posting videos on YouTube since 2007, and is definitely one of the internet’s best kept secrets. 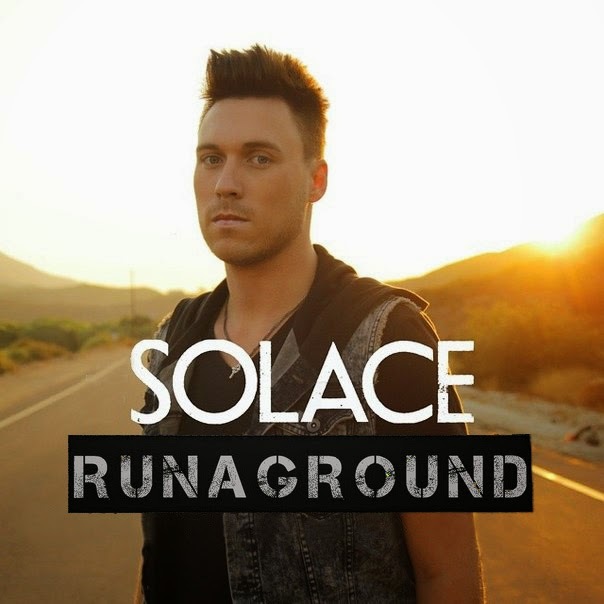 Whether you like R&B, Pop, Rock music, or anything in between, then you WILL find a song that you love on his channel. Who am I talking about? 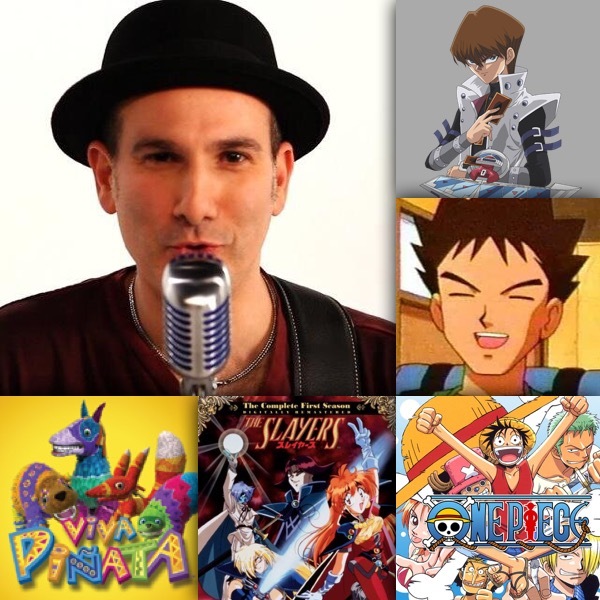 Well if the name Leroy Sanchez does not ring a bell then y’all need to get on YouTube ASAP and check out his awesome voice (well finish reading this post and then hop on over to YouTube, ok? Ok.). So let’s dive into the blog post and discuss a little bit of Leroy’s backstory, and some of his covers that I know y’all will love (hey 385,791 subscribers can’t be wrong right?). Also, please check out Leroy’s debut single ‘Little Dancer is out NOW, and his debut album is expected to drop soon so check out Leroy’s social media accounts and/or check back here to stay updated. 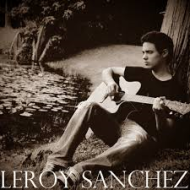 Leroy Sanchez grew up in Vitoria, Spain, and according to his website has always been a singer. Because of Leroy’s love for music, he decided to cultivate his teaching himself to play the guitar and sing at a very young age. Leroy steadily grew his audience, and in 2010 (3 years after he uploaded his first video), he grabbed the attention of Grammy Award winning producer Jim Jonsin (who has previously worked with, etc.). Leroy then went to Miami for a week to work with Jim, and after staying there for a few months, Leroy was signed to Jim’s Rebel Rock label (in partnership with Interscope Records). Leroy has also shown that he is not only an extremely talented artist, but also has a very giving nature, by volunteering with the organization CoachArt (which provides chronically ill children free lessons in the arts and various sports). The first cover we’re going to talk about is the first cover on Leroy’s channel, which is a duet of ‘Breaking Free’ from High School Musical that he uploaded on January 19th, 2007. I really loved this cover because not every artist can perform a duet as well as they can sing solo, and Leroy proves early on that he can. Based off of this cover, I am VERY excited to see the other artist that Leroy could collaborate with in the future, but I’m getting ahead of myself here. I’ve heard a lot of covers of this song on YouTube ever since High School Musical first premiered, and I have to say that this is one of my favs. What I really love about this cover is that Leroy sounds AMAZING on this cover, but in the video he is very nervous and looks a bit unsure of his talent. Honestly there is something really charming about someone who is awesome and doesn’t know it. So please click here (breaking free live leroy and elena) and check out this incredible cover that you will have on repeat all day. The next cover we are going to discuss is Leroy’s cover of ‘Bleeding Love’ by Leona Lewis, which was uploaded on December 22nd, 2009. Honestly, this is an INCREDIBLY difficult song to sing because it requires being able to perform and properly control a lot of super hard notes, as well as your breathing. On top of this, you have to properly deliver the emotion behind the song, so needless to say, not everyone can do this. But Leroy does not disappoint us, and performs this song with ease. If you watch this video and compare it to his first one, you can see A LOT of improvement, which shows just how dedicated and passionate Leroy is about his craft (you can check out the awesome video right here Bleeding love by Leona Lewis (Requested song). The next video that we’re going to talk about is Leroy’s cover (which was uploaded on February 1st, 2012) of R&B singer’s version of the song ‘I Can’t Make You Love Me’ (which was originally released by country singer Bonnie Raitt). I really enjoyed this cover because I felt like it showed just how much diversity Leroy’s voice has. Even though he did covers of R&B songs on his channel before this, ‘I Can’t Make You Love Me’ was originally a country song with blues influences, so it’s cool to see these influences in Leroy’s voice. I really love when an artist shows that they are comfortable in various genres of music, because it shows just how deep their love for music in general is, and ultimately makes their solo projects more interesting because of all of the various influences that sneak into the songs. Just like ‘Bleeding Love’, this is also another song that can’t be sung correctly if the artist does not properly connect with the emotions of the lyrics. If you haven’t checked out this cover, click here ( Can’t Make You Love Me – Bonnie Raitt (Tank’s version) by Leroy). There are a lot of other really awesome covers that y’all should check out (trust me once you get to his channel you will want to listen to all of his covers on repeat)! The finally video that we are going to discuss is Leroy’s official music video for his debut single ‘Little Dancer’ (which was uploaded on April 29th, 2014, and you can check out here Leroy Sanchez – Little Dancer). I really feel like this is a really cool debut single for Leroy because the song is an emotional ballad that has a really inspirational message about following your dreams. The song tells the story of a young girl who dreams of becoming a dancer, but allows obstacles and fear to stand in her way. I think that this is definitely a message that we can all relate to, and the video is extremely well shot. This video really makes me excited to see what other songs and videos that Leroy will release in the future! So as I’m sure y’all have already figured out, Leroy Sanchez is an artist on the rise that you don’t want to miss out on! All photos and information used in this blog belong to Leroy Sanchez, YouTube, VEVO, Twitter, Instagram, Facebook, SoundCloud, Tumblr, ITunes, Google +, the city of Vitoria, the country of Spain, Jim Jonsin, Rebel Rock, Interscope Records, Beyoncé, Lil Wayne, Usher, T.I., CoachArt, Leona Lewis, Syco Records, High School Musical, Elena, Disney Channel, Bonnie Raitt, Tank, bardotmiami.com, and all other original owners. I do not own anything in this blog. If any people, corporations, businesses, companies, etc, were not previously given credit for their work, they are given credit now and their previous absence was unintentional. All opinions expressed in this blog are my own. I wrote this blog for entertainment purposes and no copyright infringement is intended. celindareyesblog November 6, 2014 No Comments on YouTube Wednesday: Leroy Sanchez…the rising YouTube star with the golden voice. Category: YouTube Wednesday. Tagged: beyonce, Bonnie Raitt, CoachArt, disney channel, Elena, facebook, Google +, High School Musical, instagram, Interscope Records, itunes, Jim Jonsin, leona lewis, Leroy Sanchez, Lil Wayne, music, musician, new, Rebel Rock, soundcloud, Syco Records, T.I., tank, the city of Vitoria, the country of Spain, tumblr, twitter, usher, vevo, youtube. Hey people of the internet!!! On today’s ‘YouTube Wednesday’ we are going to discuss an amazing musician whose unique sound will instantly grab your attention, and not let go. I found out about this artist after she followed me on Twitter (once again thank you twitter!!! ), and I have to say that I have become completely addicted to her music. She has already made a powerful impact on the music scene, and will very soon be inescapable (and trust me when I say that you wouldn’t have it any other way). So now that you’re all excited, I guess you want me to tell you who I’m talking about right? Good, I’m glad you asked! I am talking about the amazing pop/rock/alternative singer/songwriter Victoria Watts. If for some crazy reason you don’t know who this amazing musician is, then be prepared to meet one of the fastest rising stars in music, and your favorite new artist. Victoria Watts is a singer/songwriter who is originally from San Diego, CA, but currently resides in Philadelphia, PA. Victoria discovered her love of music at a very young age, and thus was able to perform all over the US and abroad before entering college. Upon entering college, she moved to the east coast to attend the Contemporary Music Center (which is an artist colony, where qualified applicants are invited and are able to work on their music skills such as: live performance, studio work, and songwriting). Later on, Victoria moved to Nashville, TN, and then finally to Philadelphia, PA. Currently she performs both as a solo artist, and as the front woman and multi-instrumentalist for the band Element K. Victoria has been featured on the read up stations, Radio 104.5 and WSTW 93.7, as well as appearing on countless podcasts and in numerous publications. Along with this, she has also topped the Philadelphia Pop charts on ‘Reverbnation’, and was also named one of ‘Rock on Philly’ Magazine’s finalists for artist of the year. On April 23rd, 2013 Victoria released her EP ‘Songs for the Sidewalk’ 9which I HIGHLY suggest that you purchase after you finish reading the bog post…or you know you can download it while you’re reading the blog too…yay for multitasking!). Now that you know all about Victoria, let’s dive into the music! The first cover video that Victoria posted on her YouTube page was a cover of ‘The Dog Days are Over’ by Florence + the Machine on February 12th, 2013 (Victoria Watts performing “Dog Days are Over” on Radio 104.5 Philadelphia). I really love Victoria’s take on the track, because she slowed it down, and really allowed her vocals to take center stage. I could also really hear the rock influences in her vocals, which truly made her give off the vibe of a rock star. I also liked that the song did pick up towards the end, and which made that part reminiscent of the original. However, what I enjoyed most about this rendition was the fact that Victoria was able to put her own mark on the song, and make it sound like an original song. I really like that Victoria was able to find a happy medium between adding her own style to the song, and not straying too far from the originally vibe of the song that fans love. This cover truly showed that Victoria is not only a great musician and vocalist, but also a great artist. The next cover that we are going to discuss is Victoria’s cover of ‘Free Fallin’ by Tom Petty, which was uploaded on July 22nd, 2013 (Victoria Watts performing “Free Fallin” – YouTube). I am so in love with this cover I have honestly been listening to it nonstop! I really love how the originally feel of the song is still intact, but Victoria is able to use the unique tone of her voice to make the song sound completely new. ‘Free Fallin’ is definitely one of those songs that can be hard for an artist to cover because it is well known and loved by fans that span various generations and musical genres however, Victoria will quickly make anyone a fan of her rendition of the song. The last cover that we are going to discuss is Victoria’s cover of Torn’ by Natalie Imbruglia, which was uploaded on August 3rd, 2013 (Victoria Watts performs an acoustic cover of “Torn” – YouTube). This is definitely my favorite cover on Victoria’s channel, because her performance is not only vocally amazing, but further proves that she knows exactly who she is as an artist. The sound and vibe of the cover is very cohesive with the unique sound that Victoria has crafted for herself, and once again she is able to take a song that is well known and loved, and turn it into a song that sounds completely new and unique. I also loved that although Victoria was singing and playing the guitar live, she still moved around and gave a performance. In the video you can really see how passionate Victoria is about the song she is singing, and that, makes you want to watch her even more. Needless to say, I am VERY excited for everything that is ahead for Victoria, because her cover videos alone show that she is a talented, well-skilled musician, whose unique sound and passion instantly captivates viewers. Now that we’ve discussed Victoria’s AMAZING YouTube covers, let’s move on to her original music (everybody say it with me…YAAAAYYYY!). The first song that we are going to discuss is Victoria’s official music video for her song ‘A Thousand Miles Between’ (which was uploaded on YouTube on December 13th, 2013 and can be found on her EP ‘Songs for the Sidewalk’ Victoria Watts- A Thousand Miles Between Official Music Video – YouTube). This song definitely has a very early Paramore meets early Flyleaf sound that will appeal to rock fans however, the song also has a certain something about it that automatically let’s you know that it is a Victoria original. I could definitely see this song getting radio airplay, and I really love that Victoria has been able to create a sound that her fans instantly recognize. Often times an artist can have a hard time initially discovering where they fit, but Victoria has been able to prove that her voice exceeds boundaries. The next original song that we’re going to discuss is Victoria’s song ‘Waiting on the Sun’ (the official music video for the song was released on YouTube on June 23rd, 2014 and can also be found on Victoria’s EP ‘Songs for the Sidewalk’ Victoria Watts- Waiting on the Sun (Official) – YouTube). I am absolutely in love with this song (yes I know that I say this a lot, but trust me, it is very true and you will soon agree too)! This song integrates more genres of music than ‘A Thousand Miles Between’ does, and gives off a very alternative rock meets jazz vibe. I really love that Victoria proves with this song, that although she might experiment with her sound, at the its’ core, all of her music has that same little stamp that let’s fans instantly know that it is a Victoria original. Sometimes when you hear an amazing artist covering songs on YouTube, their original music might leave you a bit let down. However, Victoria’s original music is just as good as her covers, if not better. I love that every performance that Victoria gives is heartfelt, and leaves you hanging on every note. See, I told you that she was AMAZING! I am honestly so excited for everything that is ahead in Victoria’s career, because I feel that her unique sound and natural talent will definitely make her a standout act in the music industry. I always love to hear artists who are genuinely unique, and I truly feel that Victoria will create her own lane in the music industry, which will make her impossible to ignore. I also love that Victoria’s sound is so unique and diverse, that she will not be sorted into a little genre box, and as a result will appeal to a wider range of fans. I am definitely a fan of Victoria now, and I know that you will all be too once you hear how amazing she really is. All photos and information used in this blog belong to Victoria Watts, YouTube, Twitter, Facebook, MySpace, Element K,the Contemporary Music Center, Radio 1045, WSTW 93.7, Rock On Philly Magazine, Reverbnation, any record labels, managers, organization, additional artists, writers, producers, businesses, or people involved with any of the previously mentioned or following artists, bands and/or songs mentioned in this blog post, Tom Petty, Florence + the Machine, ITunes, Natalie Imbruglia, Lis Sørensen, Ednaswap, rockonphilly.com, and all other original owners. I do not own anything in this blog. All opinions expressed in this blog are my own. I wrote this blog for entertainment purposes and no copyright infringement is intended. celindareyesblog August 27, 2014 No Comments on YouTube Wednesday: Victoria Watts, the singer/songwriter that your playlists are begging you to discover. Category: YouTube Wednesday. Tagged: alternative, Ednaswap, Element K, facebook, Florence + the Machine, itunes, jazz, Lis Sørensen, music, myspace, Natalie Imbruglia, Radio 1045, Reverbnation, rock, Rock On Philly Magazine, rockonphilly.com, the Contemporary Music Center, Tom Petty, twitter, Victoria Watts, WSTW 93.7, youtube.